Peaches are one of the fruits that just scream summer to me. Watermelon, strawberries, blueberries, and cherries are also some of my favorite summer fruits. 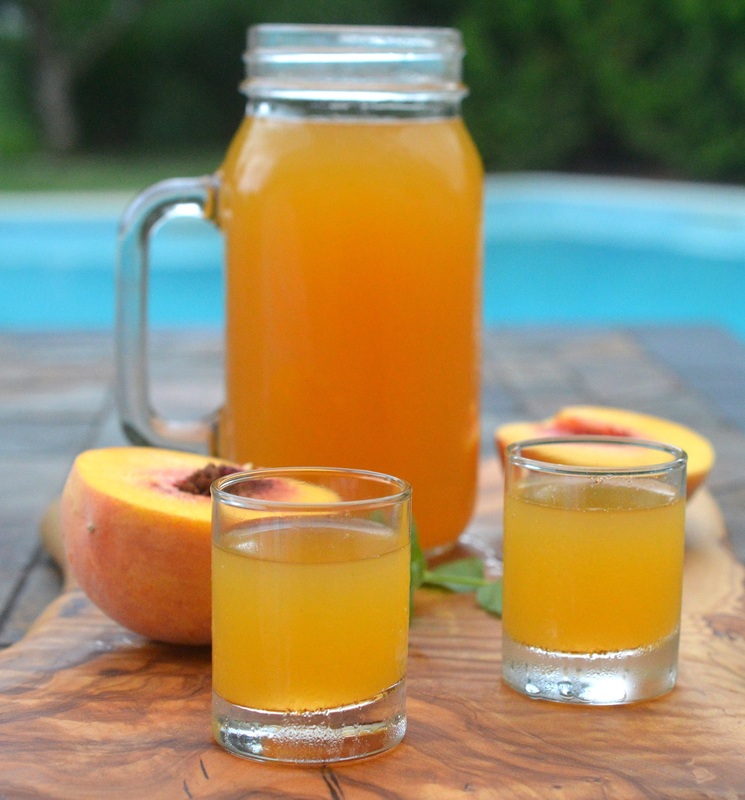 After I enjoyed a few perfectly ripe peaches a couple weeks ago, I decided to tinker with making a Fresh Peach Moonshine Recipe. Summer in a jar! 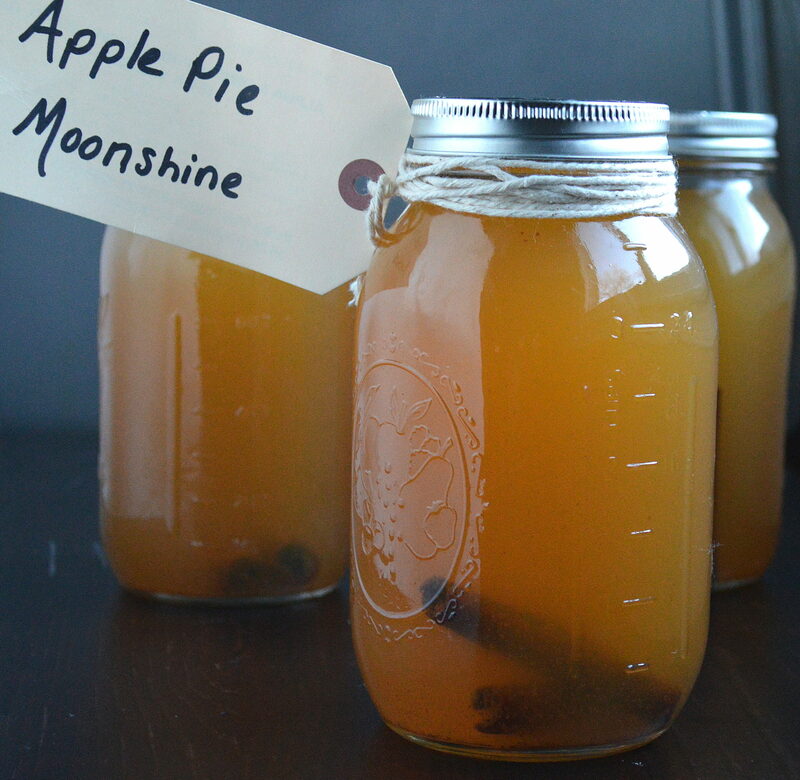 If you follow me on social or visit this site often, you know that I enjoy cocktails, wine and making interesting libations like my very popular Apple Pie Moonshine and Chocolate Moonshine. While my husband enjoys beer, bourbon, scotch, whiskey, and gin. Between us, I think we have all the bases covered, lol! Last summer, I tinkered with a Blueberry Moonshine last however it didn’t thrill me like the other two do, so I figured I would move on to peaches. I grabbed a bunch of fresh peaches and got down to it. I let the moonshine sit for a week after I made it and then I decided to strain out all of the pulp. One of my friends said she likes pulp and that I should leave it in, however, I just had a feeling that most would enjoy this moonshine better pulp-free. I took the large jar of this to a barbecue a friend was hosting recently, and it was a hit! You can control just how peachy you make this as well as how strong. Play around with it. Like I always say taste and adjust. If it’s too strong, add water. Too weak add more of one of the alcohols. If you are looking for something fun to make that has a kick! 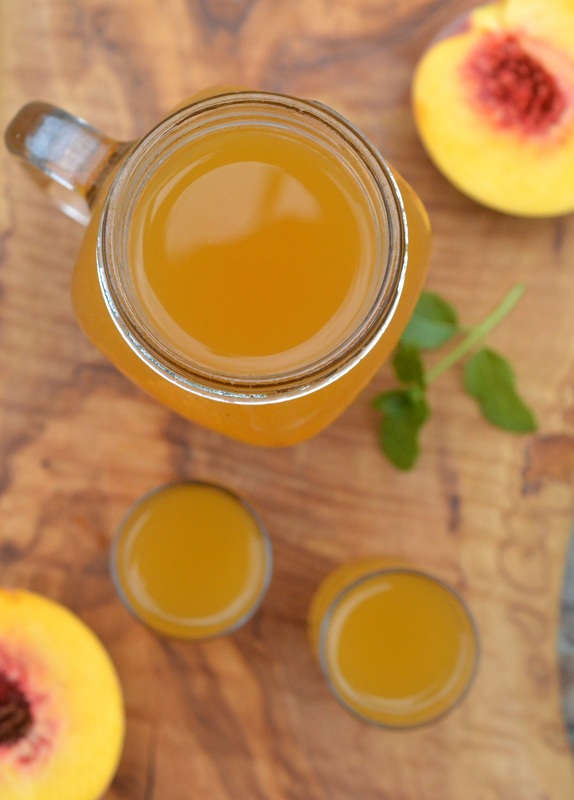 Try making a batch of this Fresh Peach Moonshine Recipe. I served it in disposable shot glasses. Just tell everyone to hold on to their glass, lol! Because the will most likely want more! And my Chocolate Moonshine or Chocolate Liquor…whatever you want to call it, its INSANELY delicious and decadent! 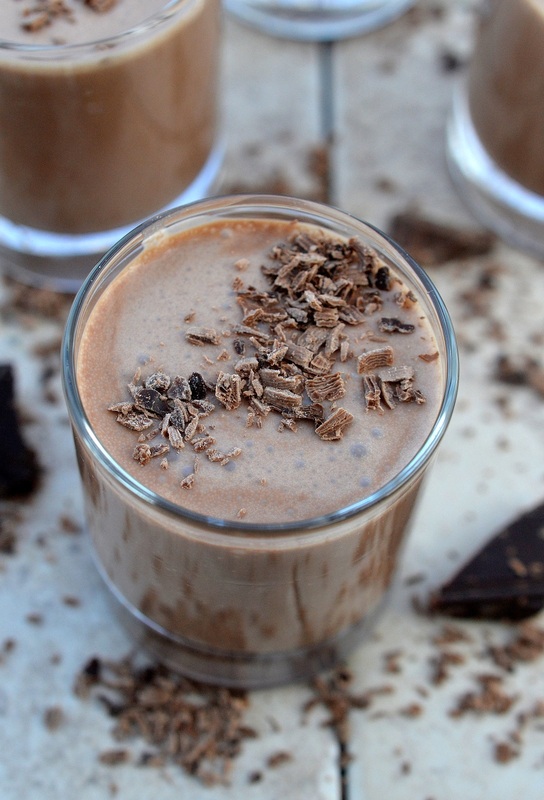 It’s kind of like a boozy chocolate shake OR the chocolate martini of your dreams! If you make any of the above…I would LOVE to see your creation! Tag me on Instagram with a pic of your creation at @SouffleBombay or #SouffleBombay! In a medium pot, combine water, sugar, peach slices and cinnamon sticks. Bring to a boil. Remove from heat and allow to sit until cooled to room temperature. Pull out the cinnamon sticks and set aside. Strain liquid into a large jar or container (with lid), pressing on solids to get every bit of liquid. Add in the cinnamon sticks, Peach Schnapps, Everclear and Peach Juice. Refrigerate for at least 2 days. 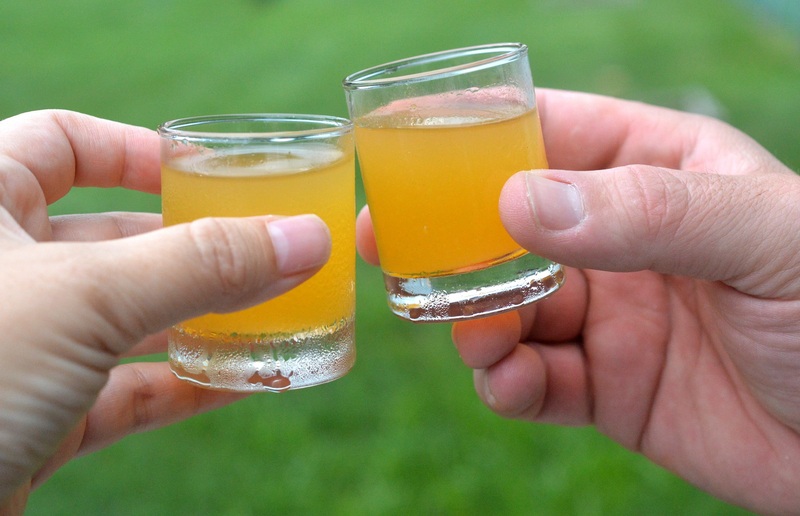 Taste and adjust to your liking by adding more Everclear or Schnapps OR if you feel its too strong, add in ¼ cup of water (or more) until it's to your liking. Using a mesh strainer, slowly pour your mixture through it to remove the pulp. Pressing on solids as you do. Discard solids and repeat. I like to serve this as cold as possible, so I put it in a cooler of ice or in the freezer for an hour before serving. I serve it in shot glasses. Keeps in your fridge for up to 2 weeks. 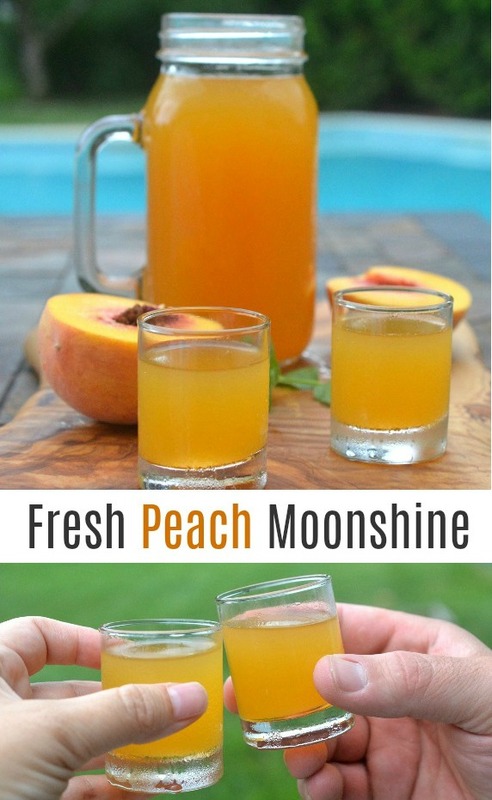 If you can't find fresh peach juice. You can substitute white grape juice. I really enjoy your recipes & look forward to many more. In printing the recipes for future use, the recipes do not print in full. The right side of the menu is blocked. I have tried to adjust but too large for the page. Is there anything on your end that would correct or mine. Thank you. I love the recipes but need help on the site. Hi Charlotte and Thank you! I can print them out fine by hitting the print button without an issue. Let me ask a few friends to try it as well and see what happens. I AM about to change the software for my recipe cards, hopefully, that fixes the issue for any that are having it. In the interim, maybe just a cut and paste for you to see it clearly?